We all love watching movies and TV series for free. The best thing about these free movie streaming sites is that you don’t have to sign-up, so there’s no way you can get in trouble. There’s no limit to how much you can watch in the day. These sites have a lot of ads but you only have to tolerate them in the beginning. Netflix, Amazon Prime, and Hulu are all premium services and if you don’t want to pay every month for watching your favorite movies, here are 15 best free movie streaming sites no sign up required that you can visit in 2019. So, what are the top free movie streaming sites you can sign up for? And are they any good? Let’s take a look at it below. You can watch everything from Riverdale to The Order and classic TV series like Grey’s Anatomy on Watch Series. It is an all-exclusive series streaming service. Watch Series has a very specific way of mentioning the episodes they recently uploaded so that you never miss out on your favorite series. The website also mentions the normal TV schedule of the series, just in case you want to watch it on the television. One of the best free online movie streaming sites, Vudu gives you early access to new hit movies. 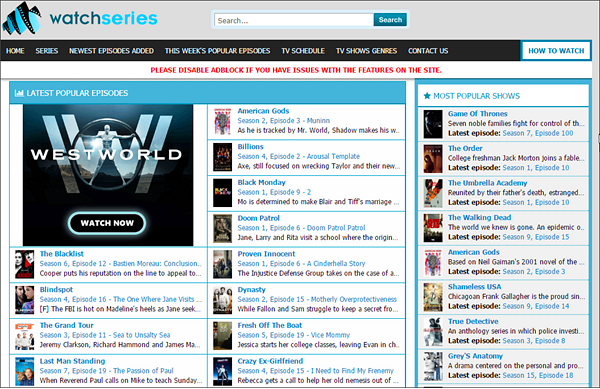 The website has a huge collection of movies and TV series. Just name a movie you want to watch and Vudu will have that in their collection. Vudu is a paid service but they have a free section, which is changed every month. You will have to sign up on the website to access the free movies and TV series. Some classics that are always a part of the free section include Funny Girl, The Sisterhood of the Travelling Pants, and Pride and Glory. Fmovies has a lot of ads but it is also the single most website will most number of TV series and movies. Episodes of the ongoing TV series are uploaded in less than 24 hours on the website. All prints have at least 720p resolution, so you enjoy your movies and TV series. 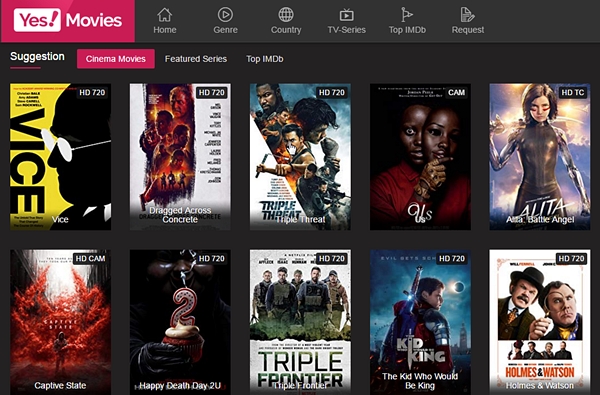 Fmovies has neatly divided its collection according to the genres, which makes it easy to pick a new series or movie. From Oscar-winning movies to action-packed movies, GoStream offers you to two options — download the print or watch it online. While you are busy with work, you can download a couple of movies for later and watch it ad-free. One of the best things about this free online movie streaming site is that it has the least amount of ads across the list. It has a huge collection of animated movies as well. 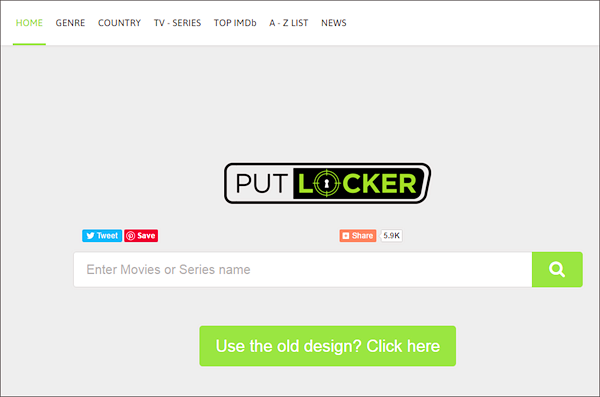 One of the best free movie streaming sites, PutLocker divides its content according to the genre, country of origin, alphabetical order, and ratings on IMDb, making it convenient for the users to navigate through the website. If you are a sci-fi lover, you will fall in love with PutLocker’s huge collection of sci-fi movies. It has a lot of pop-up ads, so you need to be patient throughout the process. If you are worried about the legality of watching movies for free, head over to Tubi TV because all the titles available there are obtained legally through partnerships with over 200 production houses across the globe. 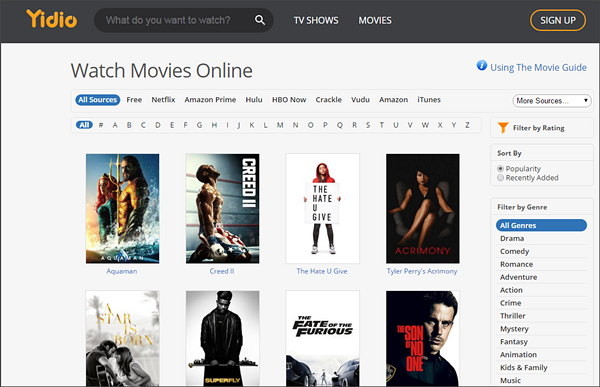 It is the best free streaming movie site as it allows you to stream the movies and TV series on all gadgets including Android phones, iPhones, Apple TV, Xbox, PlayStation, Amazon Fire TV, and the internet. You have to register on the website, which is free, and then use the login details across different devices you use, so all your movies and TV series are synced. Yidio not only has a collection TV series and movies launched in the theaters but also those that debuted on Netflix, Showtime Prime, Hulu, Amazon Prime, and other online streaming services. You can create a watchlist on the website after signing up on the website, which is an amazing feature as it keeps all your favorite and must watch series and movies in one place. Yidio isn’t free and lets you rent movies for just $2.99 and per episode of series for $1.99. After you sign up, you get access to a small but rich collection of free movies and TV series. 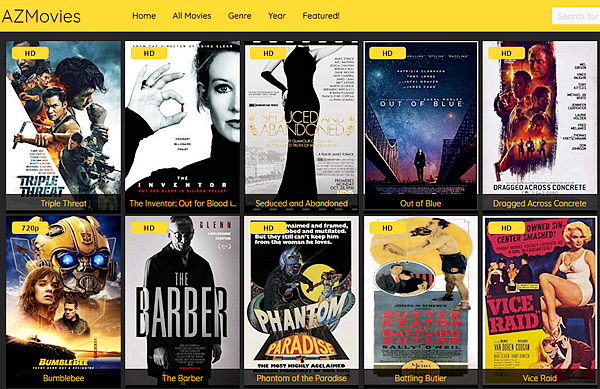 Afdah is a free online movie streaming service where you can watch movies in HD quality. They have a number of servers available to choose from and also offer an in-detail description of the movie you are surfing. Another top choice among movie lovers, AZMovies has the best collection of award-winning movies from around the world. Movies are uploaded on the website just within a month after it is released online or in the theaters. This free movie streaming website has a special section called Featured where you can watch the most popular movies of 2019. If you love movies, this is the website you should be visiting. From new arrivals to classic series like Friends, Popcornflix is a dream come true for binge watchers. 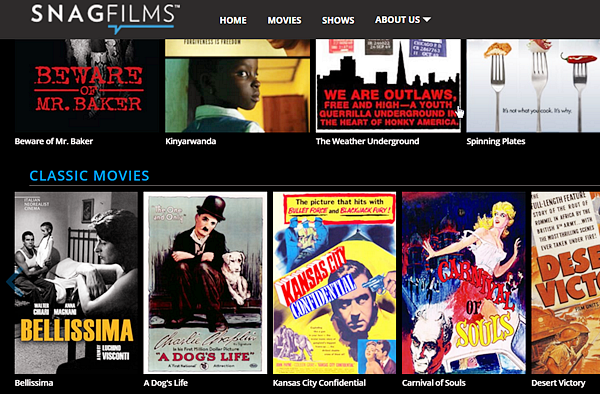 If you want to watch the best movies of all times, head over to the staff picks section on the website. It is compatible with all iOS and Android devices, Roku, Apple TV, Amazon, and XBox. Popcornflix has a wonderful collection of documentaries you should definitely check out. SnagFilms is one of the largest free streaming movie sites online. One feature of this website that we found interesting is that instead of generalizing the movies into generic genres, they have added a unique touch of categorizing the movies according to the message they want to pass on. For example, some of the categories include celebrate pride, climate change, and environment, and explore the world. 5 Movies in a United States-based streaming service that lets you watch movies without signing up on the website. All movies are available in HD quality and belong to a variety of genres including anime, sci-fi, rom con, thriller, Asian drama, and more. It is a completely risk-free website so you can watch online on Google Chrome or Safari. The website also has a good collection of TV series but take time to upload the latest episodes, so you have to wait for two to three days. 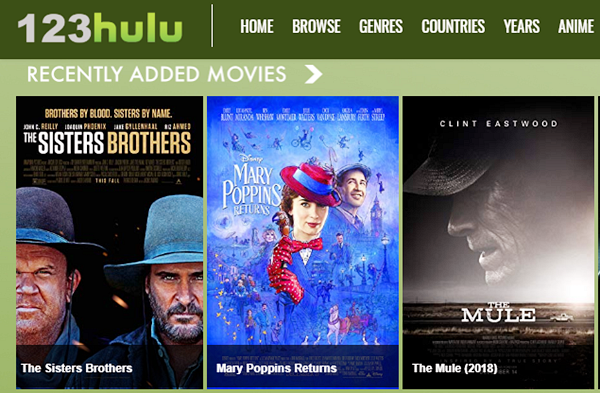 123Hulu is another best free movie streaming website to watch movies, TV series, web series, documentaries, short films, and docuseries for free. If you live in South Asian countries, the website might not work as it is blocked by the national governments. But there’s still a way you can watch the movies and series. Change your computer’s IP address whenever you want to watch to a country where it isn’t blocked. We love PrimeWire because it shows the most watched and most famous movies and TV series on the homepage, so you spend less time looking for what to watch. All content in amazing quality, so doesn’t worry about bad print. Yes Movies is a favorite among many free online movie streaming sites because it has very little adds. If a movie or TV series is missing, you can request them and in a few days, you will have it on the website. If you love watching documentaries, Yes Movies is the place to visit. Recommend for you: Best free data recovery software to recover deleted files from Android phones for free. Which is your favorite free movie streaming sites? Make sure to mention your favorite TV series and movies in the comments below.